This is a vintage reversible table runner which features a geometric pattern. 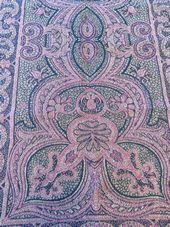 Vintage Reversible Table Runner measurements: 36� x 22" including fringe. 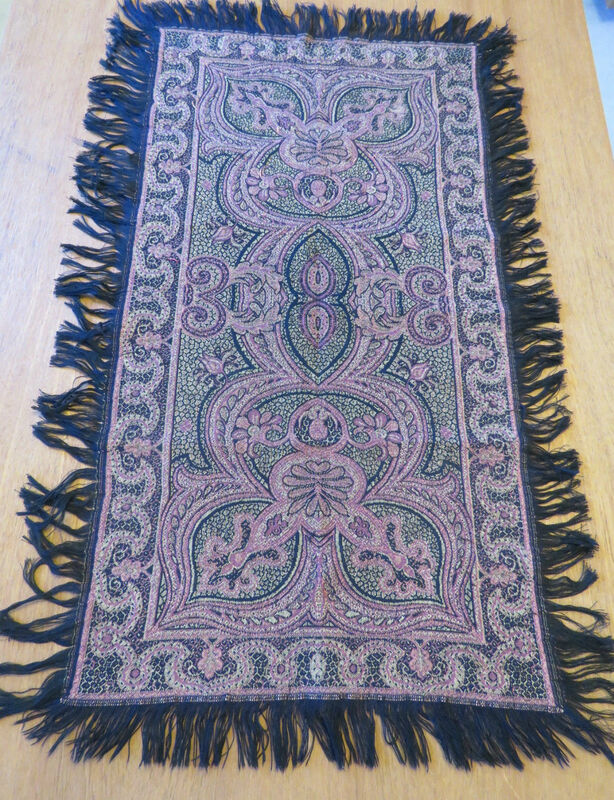 The vintage table runner is 2 sided (reversible) & the colors of black, burgundy & pink predominate. There is a black fringe around the four sides of the table runner mat. 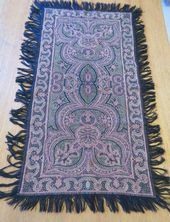 Vintage Reversible Table Runner Condition: The reversible table runner is in very good pre-owned condition. I saw no obvious spots, stains, holes. Each side of the reversible table runner has a few snagged threads that need to be tucked in with a needle and thread.